Municipal solid waste landfills are the second largest source of human-related methane pollution in the United States. Methane—a greenhouse gas that is 21 times more powerful than carbon dioxide—is a major contributor to climate change. 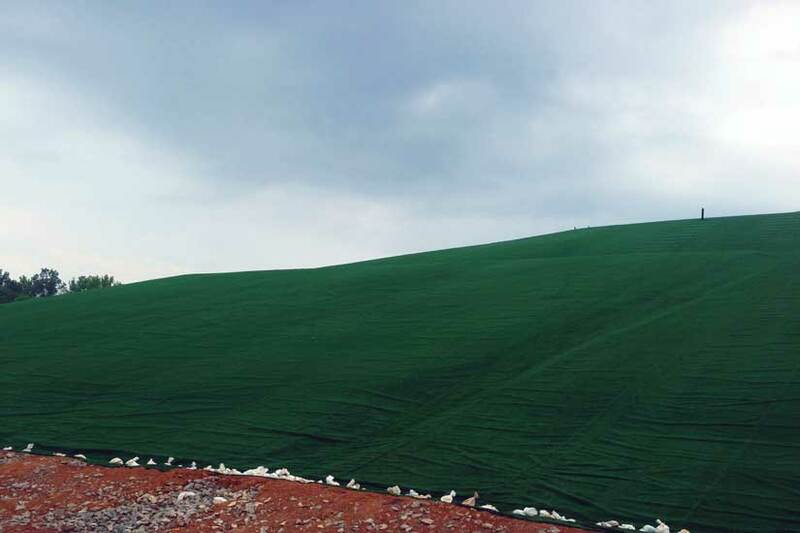 While large landfills are required by federal regulations to capture their methane emissions, smaller landfills like the Bi-County Municipal Landfill in Woodlawn, Tennessee, are not required to limit their emissions. With the promise of revenue from carbon offsets, a methane gas collection and control system at the Bi-County Municipal Landfill was built as a completely voluntary action. The system was designed so that captured methane gas could eventually have beneficial end-uses such as power production. Because of NativeEnergy’s contract to buy the carbon offsets from the project, the project developer expanded the gas collection system infrastructure to include electricity generation in 2011. The developer installed an electric generating facility that delivers up to 1 MW of power to the Tennessee Valley Authority. This project will trap polluting methane gas that otherwise would be emitted from the landfill. In addition, it will deliver up to 1 MW of renewable energy to the Tennessee Valley Authority, enough to power over 600 homes. This project is a collaborative effort among NativeEnergy’s customers, the Bi-County Solid Waste Authority, and Bi-County Gas Producers, LLC. The Bi-County Landfill project will be listed with and verified to the Climate Action Reserve standard, and its VERs will be retired in the Climate Reserve Registry. In addition to meeting the Climate Action Reserve’s stringent requirements, the project has been tested for financial additionality in accordance with the UNFCCC Tool for the Demonstration and Assessment of Additionality. This ensures that the decision to invest in this project relied on the receipt of carbon revenues.